Find an example of a Jump in the above picture. 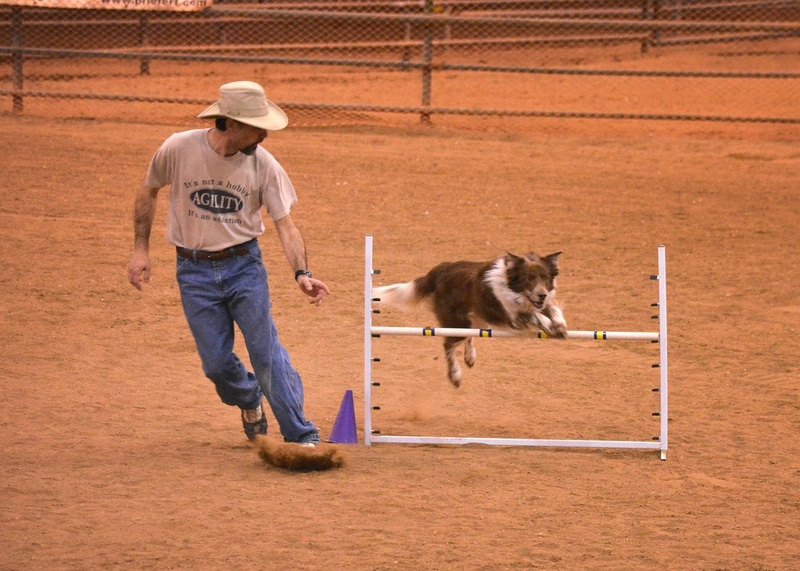 There are single and double jumps in most formal agility competitions. Many dogs are natural jumpers, while others have to learn how to jump. 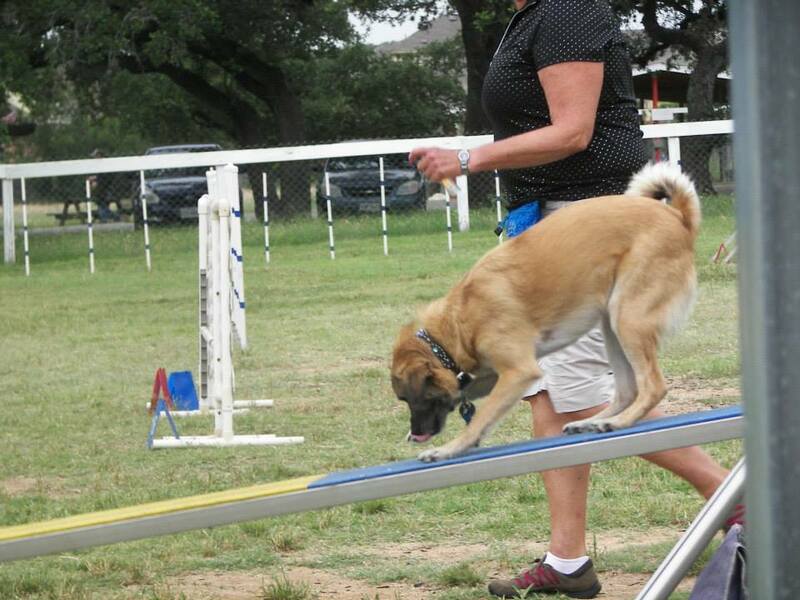 The See-Saw or Teeter is accomplished by the dog going up the see-saw, making it tilt down and successfully exiting the obstacle over the yellow zone. The A-Frame obstacle, a "contact" obstacle. The challenging part of any "contact" obstacle is to make sure your dog gets all the way into the "contact" or yellow zone of the obstacle. The Dogwalk looks like a large balance beam with ramps on both ends. 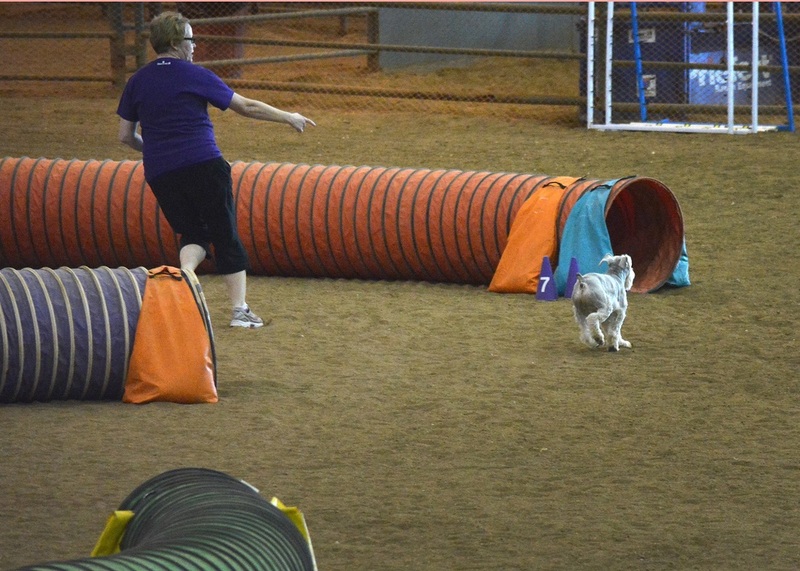 Some dogs are able to cross this obstacle with amazing speed. This is an example of the Tire. The height of the tire is moved to fit the height of the other jumps. The Weave Poles are probably the most difficult obstacle to teach. Once a dog has mastered the weaves, he can whip through it remarkably fast.